The SiteCover website management program is renewed biannually on the first business day of January and July each year. SiteCover website management invoices are emailed 30-days prior to the renewal date. SiteCover cancellation requests must be received by email to support@clikmarketing.com.au no less than 14-days prior to the renewal date in order to be recognised. Clik Marketing provides a professional website hosting package, which has been developed to suit the demands of most small to medium online businesses. Our hosting package does not impose preset limits on bandwidth and disk space usage, but instead works on a ‘fair usage’ policy. This means that we will increase your allocated space and bandwidth if necessary up to a certain point (which the majority of customers will never reach). This ensures we can be flexible to meet the demands of your growing business, whilst still continuing to provide reliable hosting to all clients. If however, you require additional space or bandwidth above the maximum limit, you may be asked to pay an additional usage fee. If you’re seen to be taking advantage of our hosting, or we believe you are using our hosting inappropriately, and which leads to the detriment of our servers or impacts the delivery of our service, you will have your hosting account terminated. Clik Marketing hosts online webinar events to provide information on a range of digital marketing activities. In the case of paid webinar events participants will need to have paid for the webinar in advance in order to receive access to the event. Information presented in all of our webinars is general only and does not take into account your specific circumstances. Despite every effort being made to ensure the information in webinars is accurate, Clik Marketing expressly disclaims all warranties, express or implied, including, but not limited to, the implied warranty of fitness for a particular purpose. Clik Marketing does not warrant or make any representations regarding the use or the results of the use of the information provided in webinars in terms of its correctness, accuracy, reliability, or otherwise. Examples and statements within the materials presented during webinars are not to be interpreted as a promise or guarantee of earnings or success for your particular project. The results and outcomes of all projects undertaken by Clik Marketing are entirely dependant on market factors, clients skill and ability to utilise the information we present, and other contributing factors out of Clik Marketing’s control. All charges shown on invoices are in $AUD. The preferred method of payment is Direct Deposit, however we accept payment via PayPal, as well as Visa and MasterCard (using BPOINT). Please note there is currently a surcharge of 1.5% + $0.30 for all payments made via BPOINT. When choosing BPOINT as the method of payment, the customer gives consent to Clik Marketing to charge the indicated card the invoice amount in addition to the surcharge amount. Please note Clik Marketing does not accept payment via Amex or Diners Club, or cheque payments in any form (ie/ Bank or Personal). Invoices are due for payment by the respective date shown on the invoice. Unless prior arrangements have been made with Clik Marketing, late payments may incur a $55 late payment fee, in addition to immediate suspension of services until all monies owing are paid and cleared. If payment is not received within 14 days of the due date, Clik Marketing reserves the right to terminate the account (in the instance of hosting) and cancel services (with respect to SEO, Google Ads, ReMarketing etc). All data in these accounts (including email) will be removed from our servers and will be irretrievably lost. Any domain registration renewal associated with these accounts will also be cancelled, and domain names will be left to expire. In the event that the customer fails to pay for services provided, Clik Marketing may assign unpaid late balances to a collection agency for appropriate action. The customer agrees to reimburse Clik Marketing for all expenses incurred to recover sums due, including associated fees and other legal expenses if legal action is necessary to collect payment on balances due. The initial fee paid for website design and development (deposit invoice) is non-refundable once design work begins. This is deemed to have occurred once a client has accepted the invitation to a Dropbox shared folder, and has uploaded their relevant information (including text and/or images). The completed website design and development fee (balance invoice) is payable upon completion and prior to the launch of the website, and is non-refundable under any circumstance. All websites developed by Clik Marketing are automatically managed by Clik Marketing under the SiteCover Website Management program for a minimum period of 12-months from the completion date. If you choose to cancel ongoing SiteCover services with Clik Marketing after the first 12-months, this must be provided in writing via email no less than 30-days prior to the SiteCover renewal period (either start of January and start of July). If you wish to cancel SiteCover within the initial 12-months you will be liable to pay a cancellation fee equal to 50% of the SiteCover plan you are on. 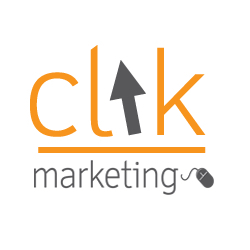 You are a valued client of Clik Marketing, and as such, if there is ever an issue with your account or the service we provide, please let us know as we’d be happy to resolve any questions or concerns you may have. Please contact Clik Marketing by email (support@clikmarketing.com.au) or by phone on (1300 996 171). All cancellation of service requests must be submitted via email. If a cancellation is made after an invoice for services has been generated, you may be liable to pay a cancellation fee equal to 50% of the invoice value (inc. GST). Please note that refunds are not offered for partial or remaining months of service. In the event of SiteCover cancellation, you will be provided with your website files and/or a full cPanel backup of your hosting account via a shared Dropbox folder. Clik Marketing cannot be held responsible for the integrity of these files once they are in your possession, nor is responsible for the setup of your account with another hosting provider. You will have 7-days from the date of cancellation to download the files from Dropbox before the folder and website hosting account are permanently deleted. Please also bear in mind that SiteCover cancellation also terminates certain plugin licenses on your website, for which you will then be responsible for. SiteCover services including domain renewal, website hosting, website maintenance, SSL certificates, and other provided service charges are non refundable. Furthermore, customers will not be entitled to a refund of any kind if they are found to be in breach of Clik Marketing’s terms and conditions. If you discover an error on your invoice please notify Clik Marketing as soon as possible by either calling us directly (1300 996 171) or email accounts@clikmarketing.com.au. We will honour invoice amount errors as long as we are notified of them within 30-days. If a refund is in order it will go onto your account as a service credit to be used on a future invoice. By engaging Clik Marketing you agree to be bound by the terms and conditions as outlined above. Clik Marketing reserves the right to make changes to these terms and conditions at any time and without prior notice.